The Moisture Festival presents our 14th year of high energy comedy/varietè shows featuring a rapid succession of acts showcasing comedy alongside awe-inspiring physical and mental dexterity, with poignant moments of strength and delicate beauty to make audiences laugh, wonder, shake their heads in disbelief and truly appreciate how live entertainment can exhilarate and bring real joy. A live show band propels each performance. Varietè has its roots in the Music Halls of 19th century England, cabaret in Europe and vaudeville in America. Because of the talented artists currently working in this genre, it is still fresh, exciting and tremendous fun for the audience. 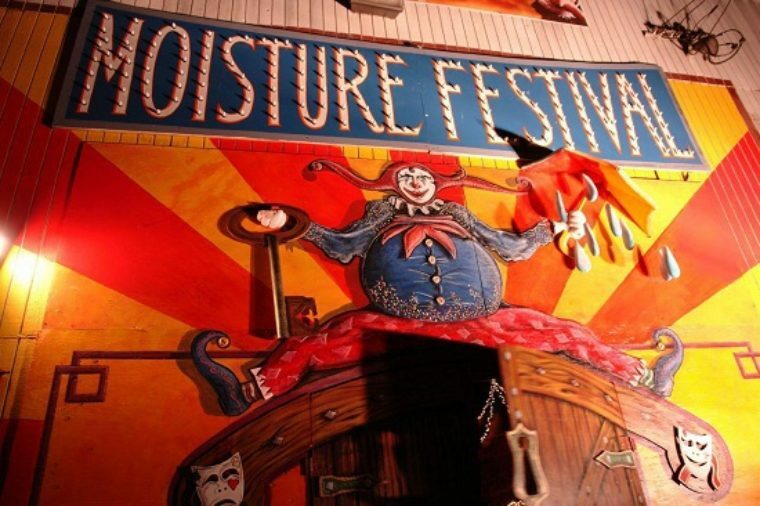 Moisture Festival's mission is to enrich the community by presenting an affordable annual festival showcasing the art of live comedy/ variete performance. The Moisture Festival encourages the contemporary creativity that is constantly emerging in this field and strives to educate people about the rich history of this genre. The on-site Box Office open one hour before showtime. At that time the box office will have any remaining tickets available for sale on a first-come, first-served basis. Phone calls can be usually be answered up to an hour before showtime, but may not be able to be answered once the Box Office is open. If/when the show is sold out we will begin a waitlist. The waitlist will be processed beginning 10 minutes before curtain. The Box Office will ONLY have tickets/waitlist for the current showtime, not future showtimes. 2 for $10 Sundays: A TeenTix member may purchase a $5 ticket for themselves and another person of any age ($10 total) for any Sunday show at this venue. Always call ahead to plan for companion tickets.